However, for the many customers who come to Rovertune Ltd. for all their servicing and repair requirements, either during a new vehicle warranty period, or after its expiry, you will not be compromised by not having a new vehicle service book, as a result of this manufacturer driven change, because Rovertune Ltd is one of a very few Independent Specialists who have been accredited by Land Rover to use their official Online Service History system. We can also obtain the service history of any vehicle registered for the online system in exactly the same way as Main Dealers. At Rovertune Ltd., we hope that all current, and potential customers, will continue to have their new vehicle purchases serviced and maintained by us (to benefit from major cost savings when compared with Main Dealer charges) whilst we guarantee to service vehicles strictly in accordance with Land Rover recommendations using genuine parts with the correct oil and fluid specifications. Under the Online Service History requirements your vehicle must be serviced in exactly the same manner as it should be if it had gone to a franchised dealer. You will be given official Land Rover documentation to confirm this point. For vehicles that have not yet been entered into the new online service history system but have been serviced at Rovertune Ltd, should you need to make a claim for work to be carried out under warranty we will be able to make available to you, upon request, a fully comprehensive service history of your vehicle to present to any Land Rover Dealership in support of your claim. All of our service and repair invoices are held securely within our own systems, but are also fully ‘backed-up’ again and totally secure through a specialist data storage facility, so that a potential loss of any customer records is extremely remote. For vehicles that are not as yet registered within the Land Rover Online Service History system we record on invoices full details of all work undertaken, parts used and any recommendations that need action either immediately, or in the future. We will continue to issue any appropriate certificates to confirm that where a vehicle has been serviced within the warranty period, all work has been undertaken in total compliance with Land Rover requirements, that genuine parts have been used whilst all oils and fluids conform exactly to Land Rover specifications. We will also attach to your service invoice a copy of the official Land Rover Maintenance Check Sheet (as used by Franchised Dealers) identifying every single service item/action required in a particular service and proving that each item/action has been implemented. You will also be advised when your next service will be due both by time, or mileage intervals. Land Rover Dealerships will always advise that servicing carried out by them is always to the highest level. At Rovertune Ltd. we guarantee to match that statement and even go beyond, whilst at all times providing the very highest level of customer care and service that can be expected. 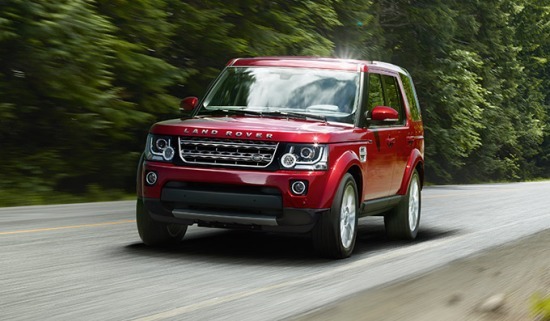 Our technicians are all fully Land Rover trained and will keep your vehicle running at peak performance. We are also officially connected continuously online to Land Rovers technical systems (TOPIx, the same as used within the Main Dealer network) and also have an official online feed for all of the current Land Rover vehicle software updates as they are released by the manufacturer to rectify past problems and improve older vehicles operation by bringing them up to date with improved vehicle performance. Keeping all related service records for your vehicle. Identifying when, or at what mileage your next service is due. Upon request provide details of your complete service history as carried out by Rovertune Ltd.
For further information, or if you require any clarification on the above, please telephone Rovertune Ltd. on 0118 950 2777, or contact us by email at office@rovertune.co.uk or through the direct link on our website contact page.